We all know that setting up the right social media campaign is great for your business. It’s also a known fact that social media plays a big part in holiday shopping, which can mean more views for your social media pages and website. Timing is crucial, and you will greatly benefit from running the right campaign at the right moment during the holiday season. Let’s go over a few ideas for you and your business to help set up and run the right social media campaign through some great holiday marketing! No matter when you run your social media campaign, the success of it is built upon solid planning and research done by you. Your first step is to look back at the responses you’ve gotten from your previous campaigns. There’s no reason to reinvent something that is already working for you. 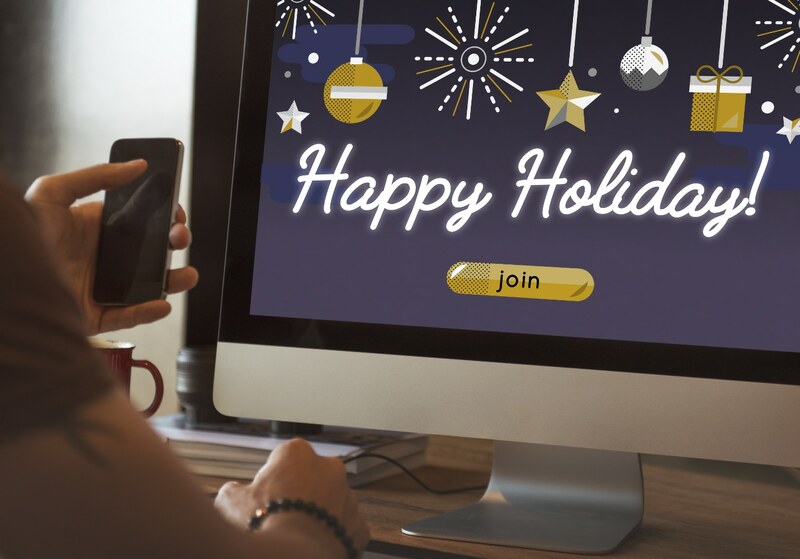 Using an approach that has worked for you in the past is a great way to easily run a successful holiday marketing campaign. You know it will bring you customers, and you don't have to start completely from scratch. If this is your first social media campaign, you can still use information from your sites to help with planning. Use resources such as Google Analytics to track which kinds of content get the most response from your viewers, and also find out exactly who your audience is. Also keep in mind that different companies’ advertising, marketing, and online campaigns are always building off of each other. Don’t shy away from looking around at what other people are doing. Develop a strategy that incorporates other people’s good ideas while also using your own personal style! Use the holidays to enhance your marketing. To make the most of it, you should use the power of social media to increase your sales and strengthen your brand. Build from what has worked before to gain those new customers that you will then have throughout the year. How can you improve the outcomes this year? Once you've answered these questions, you can use them to help build a foundation and go from there. Using your research from previous years, you can create new campaigns that show the strength of your brand and reaches out to your customers, both returning and new. This is also a great time to sprinkle in some holiday cheer to engage even more with your audience. Use a holiday theme by using holiday hashtags, or create a contest to celebrate the holiday giving spirit. You can also use limited time offers to give a sense of urgency to sales, which can inspire your customers to visit your page at certain times of the day. Doing this can increase sales, as well as get more eyes on your page if you encourage them to visit at the right times. Set up a pre-promo plan - Know what your promotions will be and how you are going to execute them. Deploy multiple posts - Have posts written and ready to go, so that you can just log in and post them. Set up a time frame that you want each post to go out. Some social media sites let you schedule posts months in advance. Spread the news with your blog - Write up a blog hyping up your upcoming holiday marketing campaign. This gets your faithful readers excited and looking forward to the campaign. Some of them will tell their friends and followers about it, and that can get you a lot more traffic. Share on social media - Announce that the social media campaign is coming on all of your social media pages. Don’t forget to share your blog post as well. Use Facebook Ads for targeting - If you have a spending budget for this campaign, you will want to do the research so you know just where to target your ads. Set these ads up to run at the right times during your campaign. Here’s a guide for writing Facebook Ads, if you want some more information on that topic. Announce via Email marketing - Send out an email blast to all of your current and past customers to let them know about the upcoming social media campaign. This will generate a buzz, get your customers excited to see what you will be offering, and bring traffic back to your site. Knowing your audience and you customer base is key to making any social media campaign work. During the holidays, it’s great to incorporate the cheer of the season into the marketing that you know already works for you. If done right, there is a large chance that you will get many new potential customers looking at your campaign and visiting your site during this season. Use the holidays to you and your business's advantage by doing the research and making sure you are ready to engage your customer base. If you want more information on creating content (which can help you out with your social media campaign), check out Virtual Market Advantage’s blog on SEO Copywriting here!